Today’s typical college student has changed dramatically in the past few decades. The traditional university student used to be the fresh high school graduate with no obligations to interfere with a full course load, but thanks to the advent of online university and college programs, current college attendees are more likely to work full-time and have family obligations competing with their class time. Online programs offer flexibility to these students, allowing them to attend classes asynchronously from their homes at whatever time is most convenient. Despite the advances in distance education, new students still need to make adjustments to prepare for the challenges unique to working adult learners. This article strives to help make the process of beginning higher education smoother and more enjoyable. Most online courses are learner-centered, which means that the learner carries more responsibility for meeting course objectives and requirements than the instructor. The instructor is still present in an online university course, but he or she will take more of a mentor or facilitator role, while the learner will rely mostly on assigned readings, research, and interaction with fellow students and the instructor via guided discussion. Many programs include both synchronous and asynchronous communication to make this work. Discussion boards, shared websites, wikis, and email are forms of asynchronous contact where the individuals can communicate in different places at different times. A web chat room or video conference enables students and instructors to interact synchronously, where they are all together at the same time despite being in different locations. Learners who are not used to this new environment often adjust readily during the first week of class when the assignments are focused on orienting students and encouraging them to introduce themselves and interact using the discussion methods outlined for the course. Students in online university programs need to be familiar with the user interfaces for their online classroom environments and virtual tools provided to students by the institution. The best programs offer learners access to vast digital libraries and web resources to use for research instead of brick and mortar libraries accessible to the traditional students. The online classroom environments differ between colleges, but quality programs will provide tutorials for students before the beginning of a term. The best way to become proficient with the user interfaces is to explore them during one’s free time and begin interacting with other students as soon as possible. Again, most courses are designed with primary activities to aid new students in adjusting to the environment. The online university website and student handbook should provide a list of technology requirements that students are expected to meet before starting the program. This list will include the minimum hardware specifications for computers and mobile devices as well as a minimum speed for the Internet. Students are responsible for meeting these requirements, and most instructors will expect learners to have alternatives plans in case their home Internet is not working. This could include a local cafe or library that extends access to public Internet service. Students should always obtain email and telephone contact information from their instructors to maintain contact if they do run into problems with these services. The recent growth of online degree programs has brought unprecedented opportunities to busy working adults and parents. However, one should be prepared for the change from instructor-led to learner-centered curricula. Furthermore, new online students will want to learn how to access and use their virtual school and study tools before starting their programs. One of the most important services offered by The Why You? Initiative, a national non-profit organization committed to advancing and empowering young students and young professionals, is mentoring. In Critique of Pure Reason, renowned German philosopher Immanuel Kant posits that “Examples are the go-cart of judgment.” From Kant’s perspective, therefore, if a person desires quality judgment, then he or she needs quality examples. The Why You? Initiative, affectionately known as “[YU? ],” is increasingly becoming a national leader in supplying America with the effective examples this perilous and disconcerting epoch necessitates. Under the leadership of Dr. Renaldo C. Blocker and Dr. Antonio Maurice Daniels, [YU?] Co-Founders, and their executive leadership team, Marie Beasley, Donald Dantzler, and John Hubbard, the next generation of national and international leaders in sundry fields and spaces are emerging. Asante Lloyd, a native of Augusta, Georgia, is one such future leader the organization is developing. Mr. Lloyd, a junior Civil Engineering major at Kennesaw State University in Kennesaw, Georgia, plans to pursue a master’s and Ph.D. in Civil Engineering after graduating with his undergraduate degree. Over the past three years, Dr. Antonio Maurice Daniels has served as Asante’s main mentor. Daniels has known him since he was a toddler. Through an extended discourse with Daniels, Lloyd became inspired to earn a Ph.D. in Civil Engineering. His original plan was to begin his career in the field after earning his undergraduate degree. [YU?] motivates young students and young professionals across the nation to reach their highest potential. Dr. Daniels is keenly aware of Asante’s intellectual acumen and does not want him to limit himself to earning just an undergraduate degree. Lloyd appreciates this academic advisement, and he has resolved to expand his career possibilities by embarking on the challenging, yet rewarding journey to a Ph.D. in Civil Engineering. As a high school student-athlete, Mr. Lloyd excelled academically and athletically, receiving numerous awards for football and track and superior academic achievement. He was even named Scholar-Athlete of the Year during his final year in high school. Asante evinced the reality that black male student-athletes can experience greatness in the classroom and fields and courts of athletic competition. He graduated with honors from a competitive magnate high school in Augusta, Georgia, obtaining a nationally and internationally reputable international baccalaureate (IB) diploma. Although he loves Mathematics and Science, and has always performed really well in those subjects, Asante has made great grades in all subjects. As Lloyd enters his junior year, his academic success persists—he’s still an honor student. While his academic and athletic prowess and success are noteworthy, they do not even compare to his character. Asante is the type of child any parent desires to have. His parents, Felicia Mack and Roderick Lloyd, have done an excellent job rearing him, and they are quite proud of the accomplished young man he has become. One never hears a credible negative word spoken about him. [YU?] prides itself on helping young students and young professionals, especially those who emerge from underrepresented backgrounds, to secure meaningful internships, including nationally competitive ones. This is why the organization’s leadership was enthused about Mr. Lloyd being selected last summer as a Scholar-Intern by the United States Department of Energy (DOE). Impressed by his work last summer, Asante’s supervisors at the DOE invited him to return this summer to work for the agency at the Savannah River Site (SRS) in South Carolina, and he recently completed this summer’s internship experience at the DOE. As a DOE Scholar-Intern, Mr. Lloyd gained valuable research experience in the field, and he was able to make significant contributions to the DOE, contributions that will benefit all Americans. He was able to gain knowledge and critical insights from national and international experts in his field, and these two years of experience have buttressed his understanding of how to engage in sophisticated research, apply data-driven approaches to solving complex problems, and work collaboratively with novice and experienced engineers. [YU?] salutes Asante Lloyd for his accomplishments and for operating in a spirit of excellence. If you would like to learn more about the work The Why You? Initiative does and would like to make a tax-deductible contribution, please visit http://www.whyyou.org. You may also donate to the organization by texting “YU” to 41444. Do You Have What It Takes to Become a Qualified Nurse? The need for qualified nurses in Australia has been steadily on the rise. As a result, many young men and women in Australia are being encouraged to consider a career in the nursing/medical industries. Could you be considered a good candidate to embark on the fulfilling and stimulating world of nursing? Nursing can be a tremendously rewarding career for many different people, but it is not for everyone. Becoming a great nurse requires more than just not getting squeamish at the sight of blood. Read on to see what to consider before you decide that a nursing career is right for you. Should you consider a career in nursing? The first and most important thing anyone considering being a nurse should possess is an outgoing personality. The majority of a nurse’s time is spent interacting with the patients, so if you don’t consider yourself a people’s person then nursing will likely prove to be a quite trying career choice for you. Nursing is also a physically demanding job that requires a high level of energy. Most nursing shifts are 10-12 hours in length and are primarily spent on your feet. If you have back or leg problems, or if you are just not an energetic person, then nursing may not be the best career option for you. Nursing is not only physically demanding but can also be really emotionally demanding. Being a nurse involves (among numerous other things) comforting patients and their families during some of the hardest times of their lives, which can certainly take an emotional toll. A good nurse needs to have the ability to leave the job behind when he or she finishes for the day. What happens on the nursing floor stays on the nursing floor. Another personality trait that you may want to have (or acquire) is the ability to allow less than appealing situations to roll off of your back. Remember you will be dealing with all manner of patient issues—most of which are either painful or unusually uncomfortable. In other words, you’re often dealing with people who aren’t in the best of moods. Therefore, you shouldn’t be easy to offend and cannot take things personally. 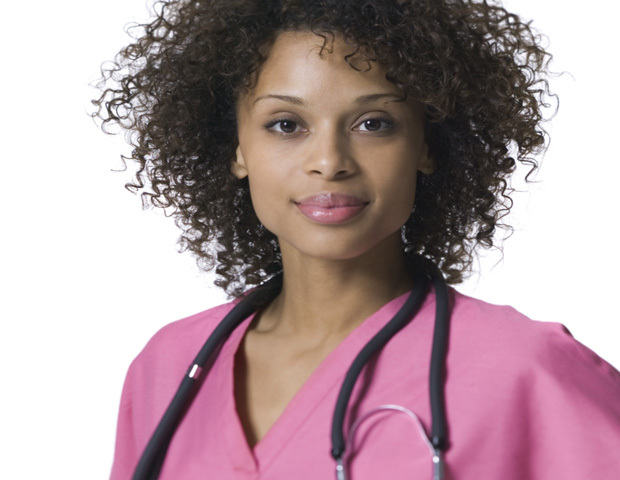 To be a qualified nurse, you will need to attend a nationally-accredited nursing program. There are some great options for nursing courses in Melbourne. The majority of these initial nursing courses can be completed in 18 months, and these courses will place you on a wonderful path to becoming a certified nurse. Earning your degree in nursing will open the door to a myriad of exciting and deeply fulfilling opportunities in the healthcare industry. A degree in nursing will enable you to work in not only a hospital setting but also in nursing homes, sports and rehabilitation clinics and even mental health facilities. Any well-established nursing school will have the means to give you a sneak peek at the variety of nursing career options available. A good nursing course should offer a wide array of hands-on labs as well as solid clinical experience through placement rotations. Such opportunities will give you a firsthand look at the various areas of practice that coincide with your medical qualifications, which will help you to choose a setting that you can thrive in as a qualified nurse. Best of luck in your new nursing career! On Thursday, March 5, 2015, the Associated Students of University of California-Irvine passed a resolution to remove all flags, including the American flag, from a student government room on campus in a faux effort to be more “inclusive.” UC-Irvine student Matthew Guevara penned the anti-American resolution. Guevara posited that the American flag could be viewed as a symbol of hate. While America has a number of troubling phenomena in her past, and some residual problems in her present, an attempt to efface all symbols supposedly associated with the disquieting dimensions of our nation’s past evinces the fatuous thinking UC-Irvine’s student leadership employs. The American flag has always symbolized utopian ideals—even when many of the people who lived under it didn’t fully embraced those ideals. UC-Irvine’s student leadership should be honest and reveal that the vote banning the American flag isn’t about inclusivity at all; it’s a veiled maneuver to promulgate its anti-American sentiments. Banning the American flag from this public space does nothing to ameliorate inclusivity at UC-Irvine. In fact, it does just the opposite. Matthew Guevara’s lame explanation that since “the American flag has been flown in instances of colonialism and imperialism,” its display “does not express only selective aspects of its symbolism but the entire spectrum of its interpretation” leads the Associated Students of University of California-Irvine down a murky road and slippery slope. Does this mean the next resolution Mr. Guevara or another member of the student government will author is a resolution forbidding white people from being able to use this space, considering white people could be viewed as vestiges of America’s racist and discriminatory past? This is the type of mindless conflation of what the American flag symbolizes with inclusivity in postmodern public space forces us to confront. At every university I have attended, I have been a passionate advocate for student rights and for students being seriously included in the notion of shared governance. I love how students at my current institution, University of Wisconsin-Madison, have significant power. With considerable power, however, comes even greater responsibility. Unfortunately, the unpatriotic UC-Irvine student government has abused its power and exposed its immaturity. I urge UC-Irvine’s student leadership to correct their wrongs by rescinding this foolish resolution. American men and women in uniform have fought and are fighting under the banner of what the American flag represents every day. Our military men and women who have lost their lives fighting for our liberty have been draped with the American flag. Above all, the American flag symbolizes everything that unites us as a nation. I encourage the Associated Students of University of California-Irvine to awake from their stupor and be grateful for the precious human treasure that has been sacrificed and lost defending the honor of the American flag and the freedom of America and her denizens. Today, Dr. Santresa L. Glass passed her doctoral dissertation defense and has been conferred a doctor of education in Organizational Leadership degree at Argosy University. The title of her dissertation is “Investigating the Effectiveness of Social Media: The Impact on Brand Identification and Organizational Performance in Small to Medium Business.” Less than 10 other dissertations have been written about social media; therefore, her dissertation positions her as one of the early leading experts in this area of research. Businesses of all sizes will benefit from the research she has conducted, especially small and medium-sized businesses. Dr. Glass highlights the importance of having a sound strategic strategy for using social media platforms as vehicles for marketing, and she emphasizes how essential it is for businesses to empirically evaluate their social media marketing. 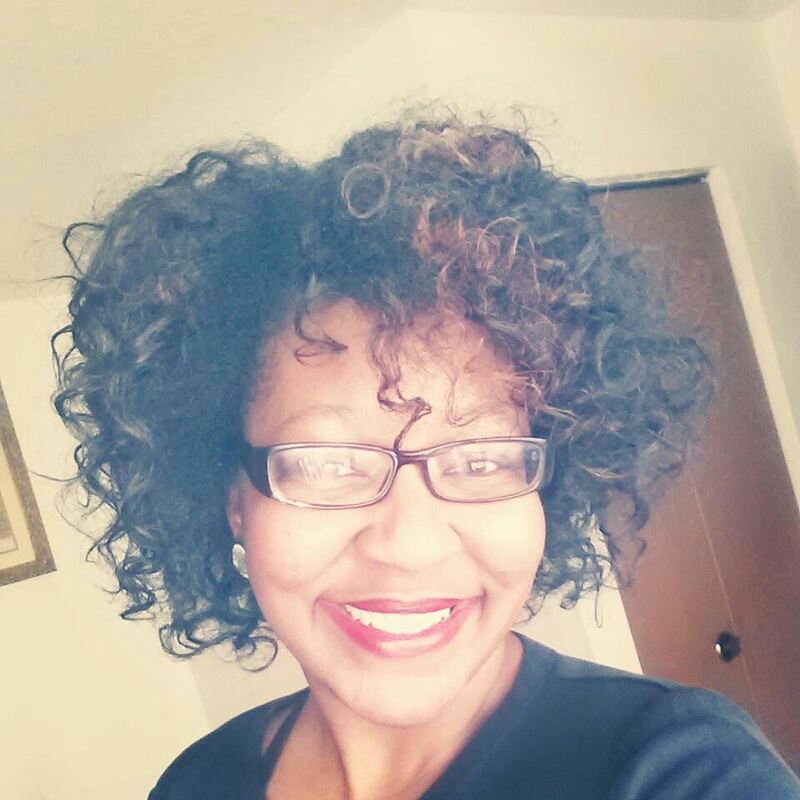 She plans to have her dissertation published in book form soon, and Revolutionary Paideia will be the first media source to announce its publication and how you can obtain a copy. Glass obtained her undergraduate degree in English at Albany State University in Albany, Georgia and a master’s degree in Management at Troy University in Troy, Alabama. She has over 10 years of executive business experience and over 10 years of experience as an educator. Although Dr. Glass had to endure many challenges in her pursuit of the doctoral degree in Organizational Leadership, she found the perseverance and courage necessary to make it to the end of this rewarding journey. What lies ahead for her is endless possibilities. Santresa, this is a day you will never forget. Never allow any overt and subtle negative messages from anyone to distract you from the significance of your accomplishments and from the bright future ahead of you. This is your day—make the most of it! Take time to celebrate Jesus and your accomplishments He made possible. I would like for everyone to join me in congratulating Dr. Glass on her truly great accomplishments. Today, you join a small percentage of people across the United States and world who have earned a doctoral degree. You did it, San! Congrats! Instead of allowing primarily members of the dominant culture to make the central issue surrounding historically black colleges and universities (HBCUs) about whether they’re still relevant, HBCU alumni need to transition the national discourse on HBCUs to more alumni financial support to their institutions. One of the core reasons why most predominantly white institutions (PWIs) continue to experience success and remain financially stable is they receive significant financial support from their alumni. If alumni and supporters of HBCUs would make giving financial support to their institutions a true priority, then the relevancy questions about HBCUs will have dramatically less impact. 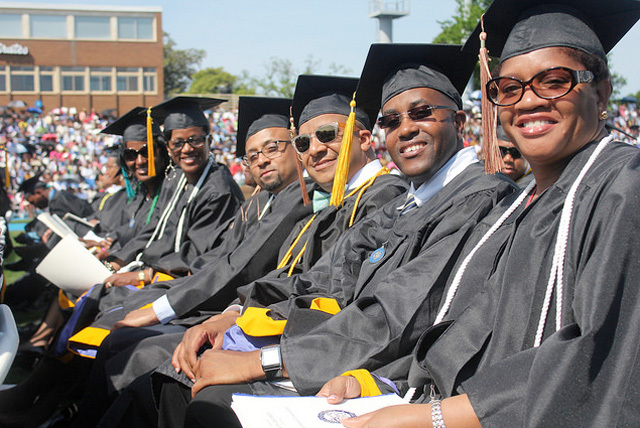 Many HBCUs are among the finest institutions in the nation and produce many of the best professionals in the world. Although greater federal, state and private dollars are needed to buttress HBCUs, alums cannot sit back and wait on funding from these sources to arrive and increase. Too many graduates of HBCUs haven’t and aren’t donating to these institutions that have given so much to them. These institutions, however, have to better engage their alumni. HBCUs must encourage alumni to be active in important activities sponsored by their institutions. Alumni shouldn’t just hear from institutions only when financial solicitations come in the mail. HBCU administrators must become even more ebullient in their efforts to fundraise as they are about staying in contact with their alumni and learning what concerns, suggestions, comments, and questions it has. For alumni to begin to give more money to their HBCUs, it needs to feel truly important to these institutions. Better engagement with alumni does not mean more financial solicitations. HBCU graduates have to understand how vital the conversations they have about the institutions that produced them are to the continued success of these institutions. HBCU alums cannot expect their institutions to prosper when they’re constantly having negative discourses about them. What you say about HBCUs, even via social media, can have an immense impact on them. You should really think about the harm you can cause to HBCUs when you express your complaints about them via social media. Make great efforts to resolve your issues with leaders at these institutions before you do an unproductive thing like airing your anger about them on Facebook and/or Twitter. While you may feel you’re just venting or attempting to get your point across, many people are out there who desire to dismantle HBCUs and they will use your comments as fuel and evidence for their nefarious efforts. The complaints of alums, however, shouldn’t go unanswered. If HBCU administrators want to see more financial giving to their institutions, then they must employ better ways to hear and address complaints of alums, especially when those complaints are credible. Even when complaints aren’t legitimate, it matters to alums that their voices are perceived as being heard. These institutions can do a better job of resolving tensions that exist within by establishing a meaningful relationship with their alumni. A meaningful relationship cannot simply be developed by interacting with alums around the time Homecoming is approaching and during the week of Homecoming. Establishing meaningful relationships with alums, engaging them in essential institutional activities, and empowering them with a voice that matters will yield greater financial support for HBCUs from alumni. Alumni Giving: Even when not Asked, Should You Still Give? Alumni Giving: What Role Does the Institution Play? HBCU Love: I’m So Glad I Went to Howard U. What About You?